AU Degree 5th Sem Results 2018: Andhra University announced the UG V Sem BA, B.Com, B.Sc (CBCS) Results October/November 2018 released at aucoe.info. Students can check AU Degree 3rd year 1st sem results 2018 Pdf marks List From Official website links given below. Andhra University Vishakapatnam has Conducted the Degree 5th Semester Examinations in the Month of November 2018 for BA B.com BSC Examinations. All students those who had written waiting for the results. University released the AU Degree 3rd year 1st sem Results 2018 in january. People can find Exam results from Below links. 1. The Regular Marks Statements Of The Candidates Are Being Sent To Principals Of The Concerned Colleges. The Candidates Are Directed To Collect Their Marks Statements From The Concerned Principals On Or After 29-01-2019. THE LAST DATE FOR RECEIPT OF REVALUATION APPLICATIONS IS 05-02-2019. 3. 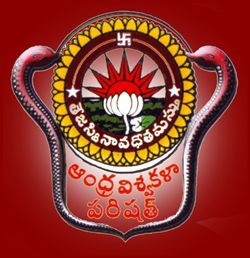 The Candidates Of Andhra Univeristy Affiliated Degree Colleges Who Are Desiring Of Re-Valuation Of Their Valued Answer Scripts Are Required To Apply In The Prescribed Revaluation Format Along With Re-Valuation Fees I.E., Rs.750/- (Rupees Seven Hundred Only) In Respect Of Each Script Of B.Sc., Fifth Semester And Hade Over Them To The Concerned College Principal Where They Studied On Or Before 15-03-2018. The Specimen Hand-Writing Of The Candidate Separately For Each Answer Script To Be Re-Valued Shall Be Enclosed To Re-Valuation Application. The Candidates Applying For The Re-Valuation Need Not Wait For The Re-Valuation Results And Have To Appear For The Next Examination As Per The Eligibility. 4. Ordered That For Issuing Of Photocopies Of Answer Scripts An Amont Of Rs.1000/-(Rupees One Thousand Only) Be Collected For Each Script In Case Of Ug Courses. The Candidate Be Required To Apply For Photocopies Of Answer Scripts Within 15 Days From The Date Of Publication Of Results And After Receiving The Photocopy He /She May Be Permitted To Apply For Revaluation Within 15 Days If The Candidate So Desires. 6. Any Discrepancy In The Result Published And The Marks Statement Issued Should Be Brought To The Notice Of The Controller Of Examinations Within 15 Days From The Date Of Publication Of The Through The Principal Concerned For Rectification.